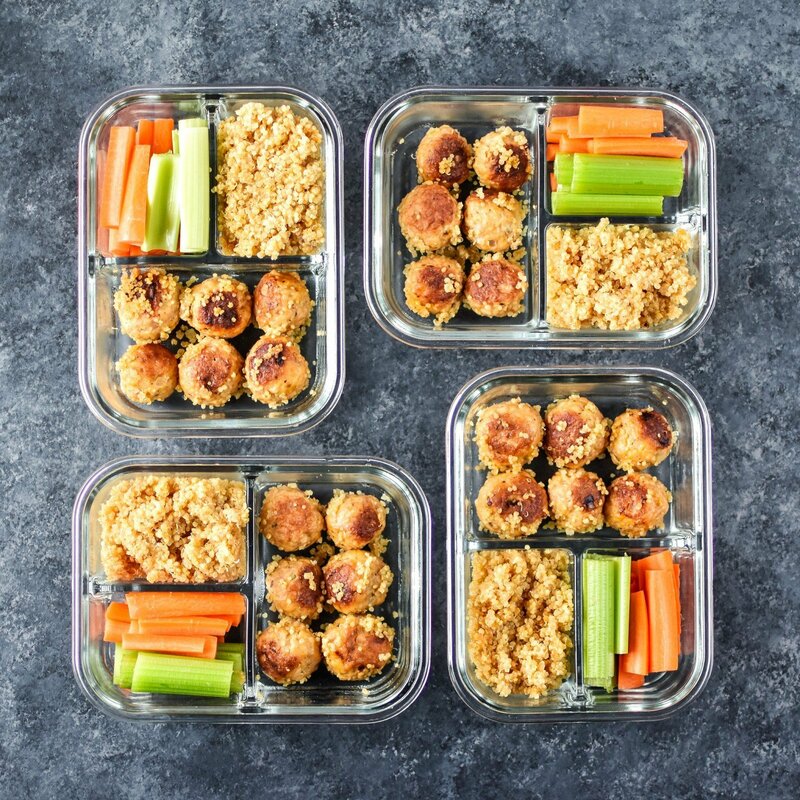 As you strive to stay on track with your New Year’s goals, whip up these healthy meal prep lunches at home to eat well all week long and save money. 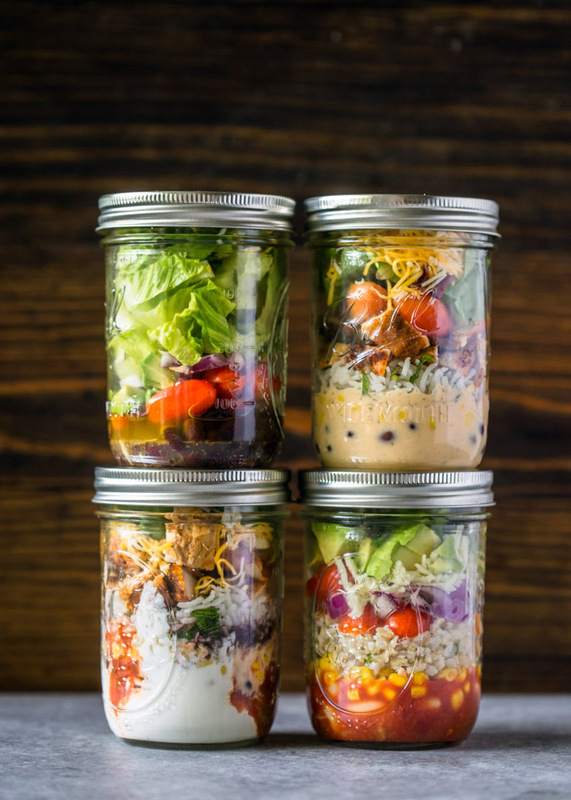 First, skip the takeout and whip up these grab-and-go Mason Jar Burrito Bowls. Whip up this delicious Chicken Lo Mein packed with veggies for a meal prep lunch the family will love. 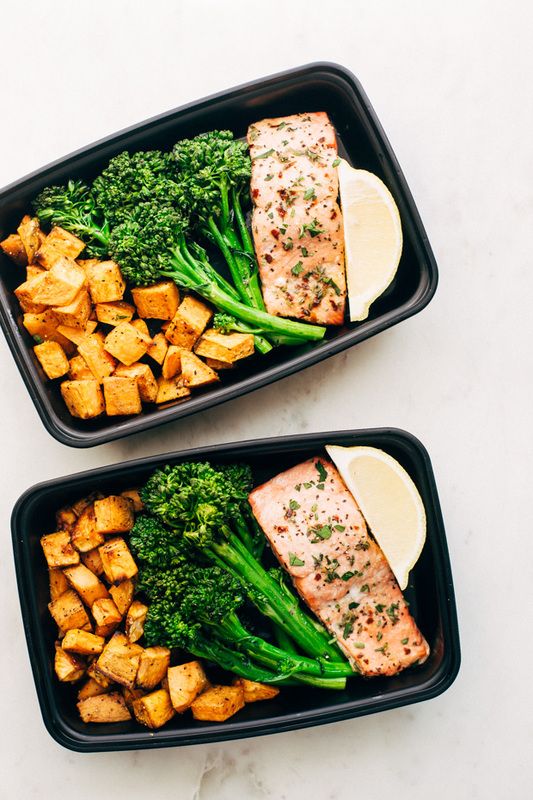 This light and tasty Lemon Roasted Salmon will leave you full but not sleepy in the afternoon. No need for wings, whip up these Instant Pot Buffalo Chicken Meatballs for that craving instead. Cuban-Style Tuna Meal Prep Bowls are perfect for using the canned favorite in a new way. 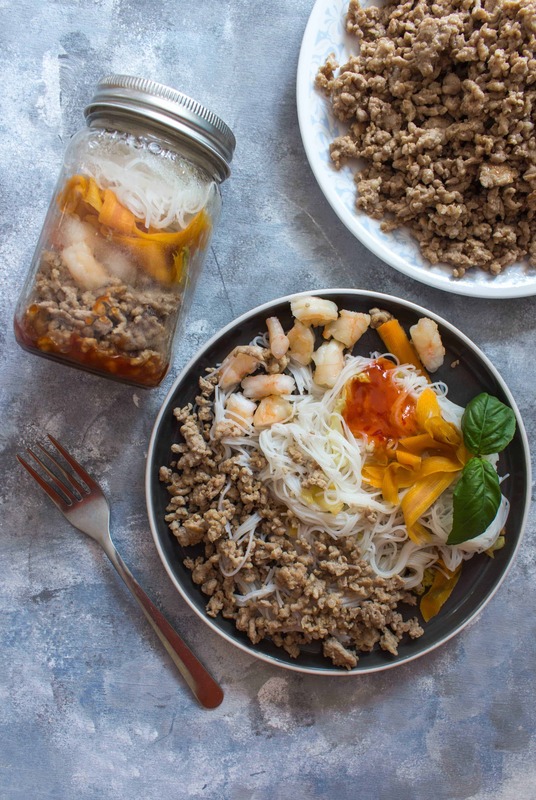 All of the flavor of spring rolls is ready on the go with this Mason Jar Deconstructed Spring Roll. 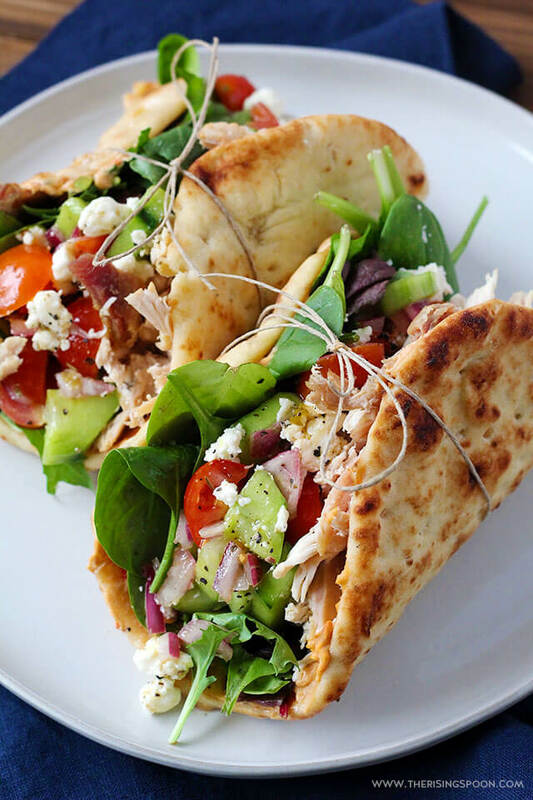 Beautiful, veggie-packed Chicken Hummus Naan Wraps are the ideal boost of protein for lunch. Have you ever bought a bunch of groceries, only to have plans change and food go to waste? Fresh fruits and veggies that go bad in your fridge before you make that recipe or snack on them? Leftovers that you got sick of without finishing? This is a problem millions of Americans run into every day, and it’s called food waste. Right now, the world produces more than enough food to feed everyone, 17% more per person than it did in the early 1960s. And yet, in 2015, 42.2 million Americans faced hunger and trouble affording food. An estimated 25 to 40% of food in the U.S. goes to waste instead of being eaten. And when food goes into a landfill, it also produces a greenhouse gas that’s bad for the environment. All those lost groceries add up to about $165 billion lost every year. Reducing your food waste can help you save money, and it’s good for the rest of the world. And the great news is it’s easy. Prepare to shop. Have a plan and buy exactly what you need to at the grocery store . Make smart decisions at the store. Don’t stock up on a sale item if you know you can’t use it before it goes bad. Know yourself. Pay attention to how much of something your family really eats so you can buy the right amount. If you live alone, don’t buy fruit in bulk (unless you really love apples). If you hate cooking, don’t stock up on things that have to be cooked. Buy the odd-looking fruits and veggies. Many are thrown away because their size, shape, or color doesn’t look perfect, but they’re actually just as good. First In, First Out. When you unpack your groceries, make sure you’re putting the newest food in the back so older things get used first. Store food in the right place. Many foods will last longer if you know how to store them. Pay attention to what you toss. If you keep throwing away half of the spaghetti sauce you make, try freezing half of it or cutting the recipe in half. Think about expiration dates. Make sure you know how they work, and try to make meals that let you use up things that are closer to expiring. Use all of an ingredient. Whenever possible, use all of what you’re cooking with, like leaving the skin on potatoes. Use citrus rinds and zest to add flavor to sauces and desserts. And the skin and stems of most fruits and veggies are safe to eat and have extra nutrients that you need. Use your freezer. Freeze fruits and veggies you can’t use up before they go bad for easy smoothies. Store extras from recipes. Eat leftovers. Take them for lunch, skip cooking the next night, or freeze them for an easy dinner later. Share. Split a huge dish when you’re eating out or take home the leftovers for an easy meal later. If you made too much of a meal, bring a dish of it to family or friends. A little thought can go a long way toward helping you reduce food waste in your home and save you money. Prepare your food safely and make sure you’re cooking your food safely to protect your family and prevent illness.